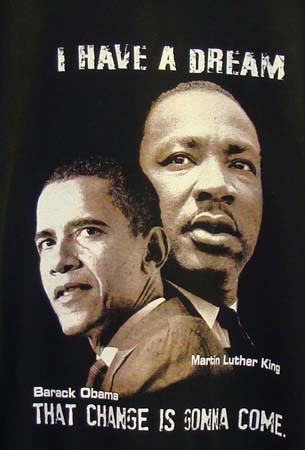 Happy MLK Day and Congratulations Mr. President! Oh, and on another note, black people didn’t elect Barack, everyone did. And, my personal feelings? The POTUS isn’t playing anymore. He doesn’t have a second term to worry about and he has an agenda that he will do his best to get accomplished. That being said, as I watched the post speech footage, I remembered watching this video shortly after his first election and had to share. LOL… wow, the ship was sinking when he was called onboard. Hilarious! !